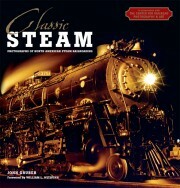 Classic Steam showcases more than 250 of the most evocative colour and black and white photos of American railroads taken in the period from the Golden Age to the last years of steam railroading. Many of the photos have never been published in book format before. Images by all of the leading photographers working in these decades are featured, from Richard Steinheimer to O. Winston Link, and from Jim Gallagher to Phil Hastings and Lucius Beebe and Chuck Clegg. 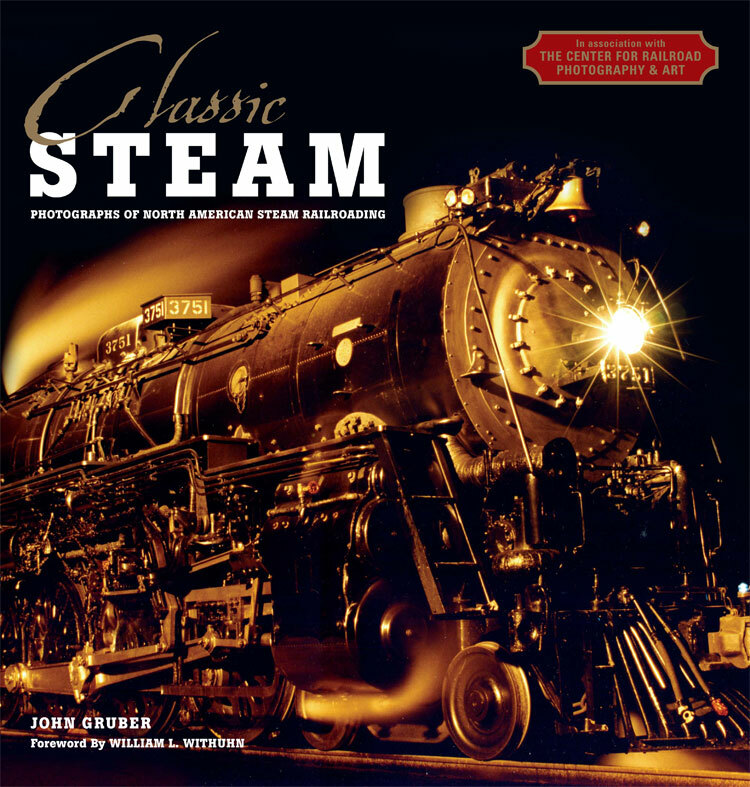 Author John Gruber – founder of the acclaimed Center for Railroad Photography & Art – organises the photographs by theme, with chapters on subjects from short lines to the Great Limiteds, and from the daily life of railroaders to narrow-gauge lines. In addition to the concise introduction by Gruber and the detailed captions that accompany each photograph, special features in each chapter focus in depth on a topic of special interest relevant to that chapter’s subject. A feast for the eyes and the mind . . . Buy it, read it, love it. Never before have so many wonderful photos been presented so beautifully at such a reasonable price. The sheer size of the numerous full-page photos make every page turn an adventure. When they say ‘the best of the best’, they’re not kidding . . . This volume is a delight. A roll-call of the names of photographers represented reads like a who’s who of railroad photography.